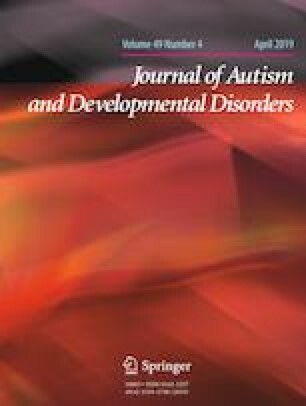 This study measured resource utilization and costs for pre-school autism spectrum disorder (ASD)-related services in community-based sectors from multiple payer perspectives in two Canadian provinces, Nova Scotia (NS) and New Brunswick (NB), during the 12 months prior to and following the start of early intensive behavioural intervention (EIBI). The results indicate significant differences between NB and NS in utilization of services and costs to families, public sector and society. Differences can be attributed to variation in EIBI delivery models and may also be influenced by differences in diagnostic assessment practices. The study results provide resource utilization rates and costs which could be used in future economic evaluations and to inform policy making to improve outcomes for children with ASD. The online version of this article ( https://doi.org/10.1007/s10803-019-03993-3) contains supplementary material, which is available to authorized users. This study was funded by a Canadian Institutes of Health Research ‘Partnerships for Health Systems Improvement’ operating Grant (#PHE 122189), by partner funding from the Nova Scotia Health Research Foundation and New Brunswick Health Research Foundation, and by the 2017 SickKids Lunenfeld Summer Studentship program. PATI study’s Principal Investigator Smith was supported by the Joan and Jack Craig Chair in Autism Research. We thank Noreen Millar, Jennifer Fox, Susan Harvey, and Marie-Lyn Fackenthall, research coordinators, for their help with collecting and using the PATI study data. We acknowledge the work of Salar Sadri on resource pricing and costing. We also appreciate the help of PATI team members, service providers and Nova Scotia EIBI managers who provided cost data. We would especially like to thank all of the participating families. KT participated in the interpretation of the data, performed statistical analysis and drafted the manuscript; WU conceived the study, contributed to its design and coordination and to the interpretation and statistical analysis of the data and drafted the manuscript; BD, HF, NG, JD, CW and PM participated in the design and coordination of the study and the interpretation of the data; NL contributed to the design and coordination of the study; SB conceived of the study and participated in its design; IS conceived of the study, participated in its design and coordination and contributed to the interpretation of the data. All authors read and approved the final manuscript. Auditor General of Ontario (2013). 2013 Annual report of the office of the Auditor General of Ontario: 3.01 Autism services and supports for children. Retrieved July 30, 2018, from http://www.auditor.on.ca/en/content/annualreports/arreports/en13/2013ar_en_web.pdf. Auditor General of Ontario (2015). 2015 Annual report of the office of the Auditor General of Ontario: Autism services and supports for children, follow-up to VFM Sect. 3.01, 2013 Annual Report. Retrieved July 30, 2018, from http://www.auditor.on.ca/en/content/annualreports/arreports/en15/2015AR_en_final.pdf. Australian Government (2016). Disability and carers. What help is available? Retrieved June 8, 2018, from https://www.dss.gov.au/disability-and-carers/programmes-services/for-people-with-disability/what-help-is-available#1. Bank of Canada (2017). Annual Exchange Rates. Retrieved March 21, 2018, from https://www.bankofcanada.ca/rates/exchange/annual-average-exchange-rates/. Government of British Columbia (2018). The Autism Funding Program. Retrieved November 30, 2018, from http://autisminfo.gov.bc.ca/autism-funding-program/. Hendry, L. (2016). Quebec families turn to private autism therapies—at staggering cost. Retrieved from http://www.cbc.ca/news/canada/montreal/autism-services-inadequate-1.3589974. Ontario Ministry of Children and Youth Services (2018). Ontario autism program. Retrieved July 21, 2018, from http://www.children.gov.on.ca/htdocs/English/specialneeds/autism/ontario-autism-program.aspx. Prior, M., & Roberts, J. (2012). Early intervention for children with autism spectrum disorders: ‘Guidelines for good practice’ 2012. Retrieved June 8, 2018, from https://www.dss.gov.au/sites/default/files/documents/08_2014/6006_-_accessible_-_early_intervention_practice_guidelines_0.pdf. Statistics Canada (2017). Table 14-10-0206-01 Average hourly earnings for employees paid by the hour, by industry, annual. Retrieved July 31, 2018, from https://www150.statcan.gc.ca/t1/tbl1/en/tv.action?pid=1410020601. Statistics Canada (2018). Table 18-10-0005-01 Consumer Price Index, annual average, not seasonally adjusted. Retrieved July 31, 2018, from https://www150.statcan.gc.ca/t1/tbl1/en/tv.action?pid=1810000501.